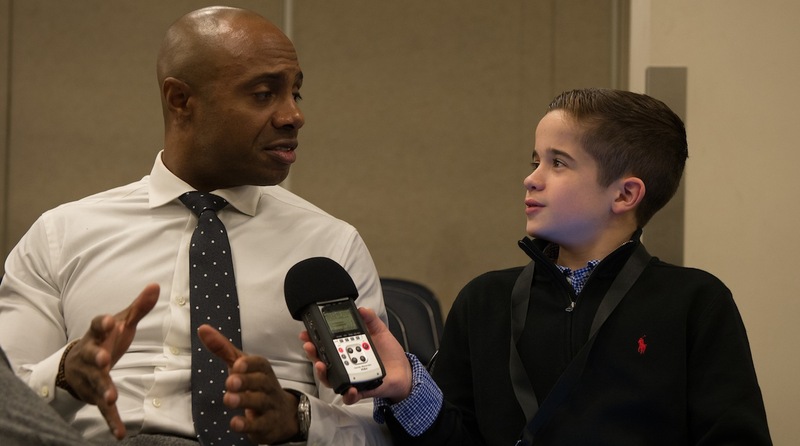 Jay Williams is very busy these days as a college basketball analyst for ESPN, regularly in the studio, calling games, and appearing on ESPN’s College GameDay—the popular Saturday morning and evening college basketball program. 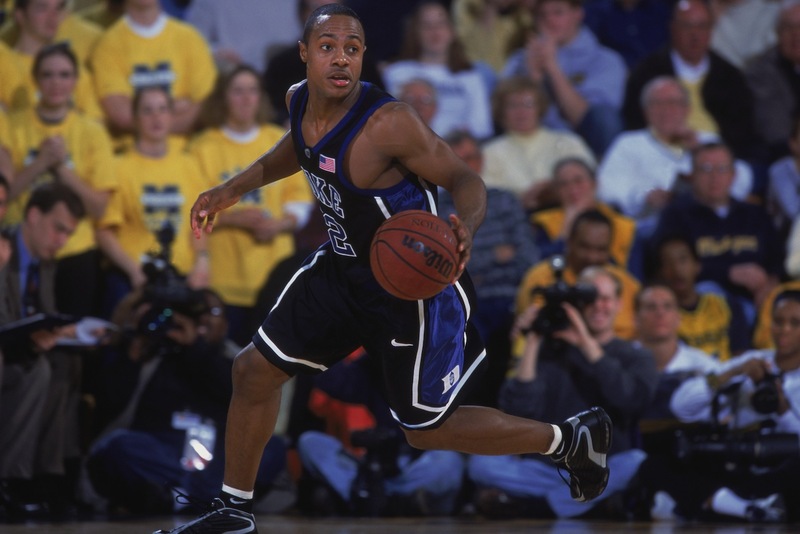 As an All-America point guard at Duke for three years, from 1999 through 2002, Williams won the Naismith College Player of the Year Award, the John R. Wooden Award, and the Oscar Robertson Trophy. He also led the Blue Devils to the 2001 national championship. At the final game in his junior season, Williams’s number 22 jersey was retired at Cameron Indoor Stadium. He graduated from Duke with a bachelor’s degree in sociology and business, becoming the first athlete at the university to earn a degree in just three years. Williams was drafted second by the Chicago Bulls in the 2002 NBA draft, just behind top pick Yao Ming, and started 54 of 75 games for the Bulls in the 2002–03 season. While a motorcycle accident ended Williams’s NBA career after just one season, he never quit, survived a difficult recovery, and reinvented himself as a commentator, author, public speaker, role model, and entrepreneur. I recently sat down with him at Madison Square Garden in New York City before the Jimmy V Classic. Very few people have been as successful as you in pursuing a second career. I know you have said you would not change anything and have embraced your mistakes, but if you could go back to when you were my age, is there anything you would tell your young self to do differently? You know, I don’t think I learned about where I wanted to be until I started to prepare for where I wanted to be. And I didn’t learn that until I got older. So I think I would challenge my younger self to say, O.K., if we do want to be the first pick taken at the draft, or if we do want to create a business leveraging the platform of the NBA, how much money does the first pick in the draft make? How long is my contract? How much is my contract inflated by each year? I would start preparing for where I wanted to be and ask myself those types of questions. I would start doing my own due diligence and my own research because I think knowledge is key to getting to where you want to be. What are the most important things for kids to focus on? I would say number one is education. I’m a nerd; I love to read. I love to consume information. I think the more information I consume, the more knowledgeable I am when I speak to people and the more efficiently I can formulate an opinion. I would also say: Don’t forget to be a kid too. Life isn’t that serious all the time, and sometimes [you need to] let yourself go and just go in the backyard and play and have an imagination and make up games instead of always being locked on your phone or playing games electronically. Stimulating your imagination is critical because that will help you as you get older. This tournament, of course, benefits the foundation of former coach Jim Valvano, who died of cancer. Do you think that Jimmy V’s Motto of “never give up” had a special effect on you considering some of your experiences? I do. Jimmy V was a fighter, not just in the game of basketball and coaching N.C. State, but more importantly in the game of life. And I know that with his foundation and the things that [Duke] coach [Mike] Krzyzewski has taught me, I fight 24/7. I had to fight to find out who I was after my accident. And to constantly wake up every single day and to challenge yourself to be a better person. I think those are the attributes that truly define who Jimmy V was as a man. I know those things have been instilled in me by my parents, him, and Coach K.
What did you like best about playing in Madison Square Garden when you were a player? I was actually intimidated to play here. I grew up in New Jersey. I used to come here all the time and watch games. And there was something about playing in this gym where some of the greatest players in the world have played. I loved Reggie Miller. And Carmelo Anthony and other great players. I was obviously a little bit nervous, but I got lost in the game. It’s New York City; it’s the mecca of basketball in the world. Would your 2001 national championship team with Shane Battier have beaten this year’s Duke team? We had a pretty good team in 2001. Shane went with the third pick in the draft that year. The following year I went second and Mike Dunleavy went third. Boozer went second round, but he wound up becoming a perennial All-Star. And Chris Duhan just retired a couple of years ago after a 10-plus-year NBA career. It would have been a good game. But this team, at full health, is pretty scary. Harry Giles could be the first pick taken in the draft. Jason Tatum could be right around there. [Marques Bolden] could be in the lottery. Grayson Allen will be in the first round. If Frank Jackson continues to play the way he is [playing], he will be in the first round. And, Luke Kennard, is making a huge push for national player of the year right now. This team is pretty loaded. But I am always going to be biased; we could have beaten them by 20. What do you do to prepare for games? I don’t think my preparation ever stops. I think that’s a really cool thing about what I do. To give you an example, I think there are a lot of people out there who do jobs, and the jobs don’t define who they are. I have been very blessed to have a job that I think does. I wake up every single day and read the newspapers front to back. I read USA Today and The New York Times. I focus on the sports sections, and I go through my Top 25 college basketball, I go through the NBA, I go through the NFL, and I go through Major League Soccer. And I love it. And it’s not something where I say I have to study these teams. Now, look, when I have a game and something that’s a little bit more in-depth, I have to go spend time with the coaches and get a scouting report about what they are trying to accomplish. As far as being prepared to talk sports 24/7—when you sit in front of a camera like this, I don’t have a teleprompter to read off of, I don’t have 8,000 notes where I can reference a note in live time. I have to know exactly what I am talking about and be pretty good at it. Do you think early season games matter, given the emphasis on the NCAA tournament? I always struggle with this to a certain degree because teams don’t really know who they are at the beginning of the year. It’s a soul-searching process. And sometimes the NCAA committee is a little more subjective. So if you see a younger team get a big win, of course you are happy for them. Still, at the same time, who teams are are in December will be completely different from who they will be in mid-January. So I think there should be more weight added to the end of the season because that’s when teams are really coming into their own. Please tell me about your involvement with Rising Stars. Why is its mission important to you? Rising Stars is an AAU program that I played for, and I was extremely lucky to have a coach in a guy named Paul S, who started talking to me about some of the issues we are having right now. And at that young of an age, it was difficult for me to think as an adult. But he was the first person to plant that seed in my mind, to start processing information in that capacity. I still made mistakes, obviously, growing up. But I made mistakes learning from my mistakes. I think a lot of people make mistakes and they suppress those mistakes and act like they never happened and move on. We do a lot of mentoring; we do a lot of shadowing programs. So if you told me you wanted to be the next Adam Silver, my plan is next time you are in New York, we are going to go meet [NBA Commissioner] Adam Silver. You get a chance to feel how it is to be in the shoes of Adam Silver and the kind of pressure that he lives with every single day. [We want] to do that for kids who may not think that education is important. And then once they get thrust into the real world, they start to see it’s cool to be smart, it’s cool to be successful, it’s cool to ask the right questions. It’s cool to ask questions that may not even be the right questions, but at least you have the courage to ask a question. I want to create a safe environment for them to be able to take themselves mentally to the next level.